CHI PLAY is an international and interdisciplinary conference (by ACM SIGCHI) for researchers and professionals across all areas of play, games and human-computer interaction (HCI). We call this area “player-computer interaction.” The goal of the conference is to highlight and foster discussion of current high quality research in games and HCI as foundations for the future of digital play. To this end, the conference will feature streams that blend academic research and games with research papers, interactive demos, and industry case studies. CHI PLAY grew out of the increasing work around games and play emerging from the ACM annual conference on Human Factors in Computing Systems (CHI) as well as smaller conferences such as Fun and Games and Gamification. CHI PLAY is sponsored by the ACM Special Interest Group for Computer-Human Interaction (SIGCHI). For the first time, the Digital Games Research Association (DiGRA) and the Foundation of Digital Games (FDG) will partner in an unprecedented gathering of games researchers. We invite researchers and educators within game research, broadly construed, to submit their work. Game design: Design techniques, practices, methods, post mortems, etc. Due to the interdisciplinary nature of the DiGRA/FDG conference, authors and reviewers alike will be required to describe their research background and field of study as part of the submission process. The intention for this is to help reviewers be conscious of when they are reviewing work outside their own field as well as making clear the proportions of contributing fields. This structure reflects the cross-disciplinary nature and different conference traditions of the conference attendants. A full paper submission is recommended for completed research work, in particular empirical or technical work. The extended abstract format is suitable for discussion topics and ideas. Both full papers and abstracts are subject to a double-blind review process. These two categories are the only ones that will be published in DiGRA’s digital library. These are curated by the local organizers and do not go through an anonymized process. These categories have late deadlines to allow the most recent research and results to be submitted. DiGRA/FDG 2016 provides a doctoral consortium for PhD students. Those interested in attending this should submit a position paper in the extended abstract format with a maximum length of 2 pages. DiGRA/FDG 2016 also welcomes submissions to arrange workshops. These have an earlier deadline than other submission to support workshops that wish to have their own peer reviewing process for submissions. These should be submitted as extended abstracts with a maximum length of 2 pages. Please submit workshop proposals by email to the three program chairs, and place “[FDG/DiGRA 2016 Workshop Submission]” in the subject line. I will be speaking in the CEEGS 2015 conference in Krakow, Poland tomorrow – my keynote is titled “The Identity of Game Studies: The Widening Range of Research in Games and Play;”. You can find the full conference program at: http://ceegs.eu. 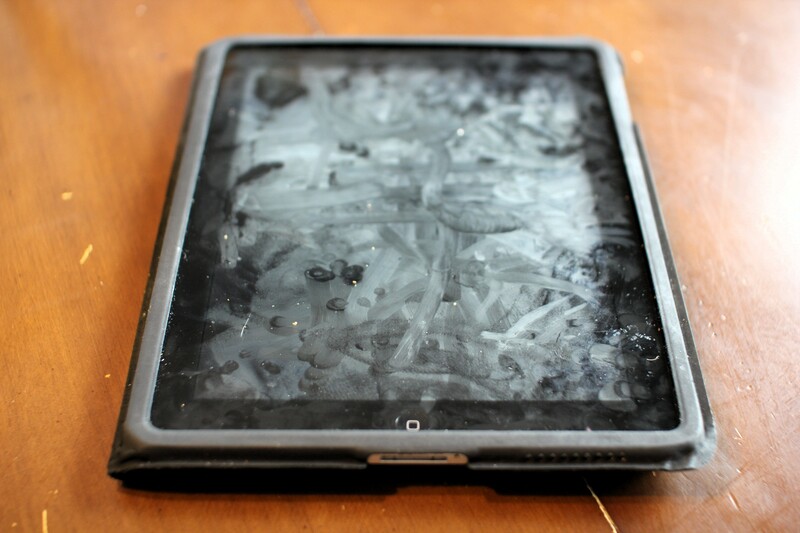 Short note on one of my pet hates as an active gadget geek: bad ergonomics. One could suppose that as the number and average active hours use of various computing and communication devices has gone up, the ergonomics should be getting better, to make this equation feasible. This is not happening, I am afraid. Sure, if you compare the top-of-the-line desktop workstation to the miserable situation in the early 1990s, as you were trying to survive with that crappy monitor and an early mouse that got stuck all the time, then there is some real progress. You might be working with dual (triple) monitor setup, with high refresh rates, chrystal clear IPS/retina displays, with multiple input devices that are sensibly positioned and ideally placed on a motorized, ergonomic table that you tweak to the optimal configuration with the help of an ergonomics professional. In the office. But, as we all know, working hours spent peacefully in your office are getting precious. We are on the move, and it is the ergonomics of the mobile devices that we should really be concerned about. Stanford University, for example, has published this health and safety guide for mobile device use in work. Though, when the first recommendation is to use a proper office chair wheneven using a laptop computer, the impossiblity of the entire situation becomes clear. Laptops, tablets and smartphones are used in trains, busses, aeroplanes and in all kinds of extemporized working environments – also regularly while running from a meeting to another, under the increasingly time-constrained schedules of today. The tiny screens and awkward positions needed to input anything into them are not making our necks, eyes or wrists very happy. It is possible that natural language interfaces, using some kind of subvocalizing so as not to draw attention to the speech interactions in public spaces — or possibly gesture recognition and augmented reality, semi-transparent displays are the answer. What is certain, is that the questions for our, and the future generation’s health are still there, unanswered. 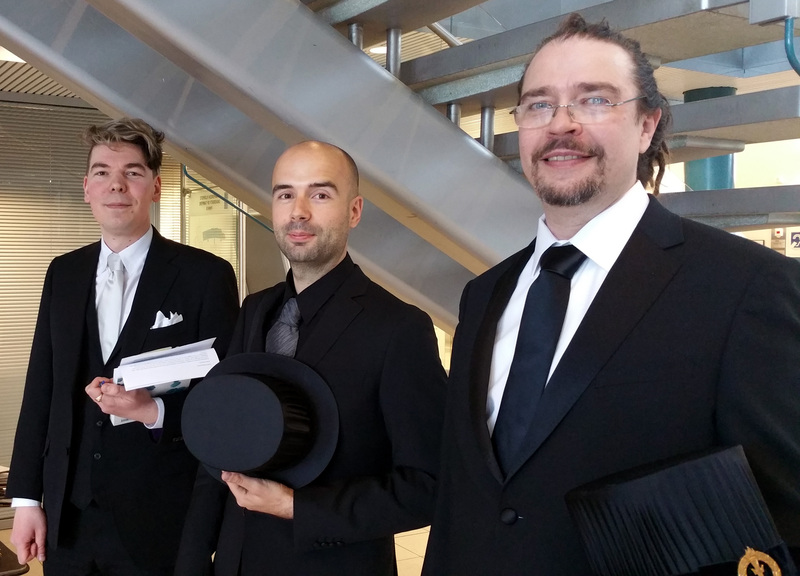 Jaakko Stenros today successfully defended his PhD dissertation, titled “Playfulness, Play, and Games: A Constructionist Ludology Approach” in the University of Tampere. Miguel Sicart from ITU Copenhagen served as the distinguished opponent, leading the discussion to explore the relation of Jaakko’s research to some fundamental questions in play and game studies. In his conclusion, he gave credit to Stenros’ study, calling it “an unavoidable piece of work” for any future scholarship in this field. Congratulations to the new (future) doctor from the custos! 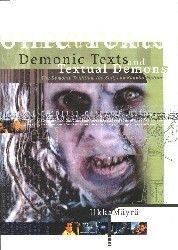 The entire dissertation can be downloaded as a free PDF from here: http://urn.fi/URN:ISBN:978-951-44-9788-9. 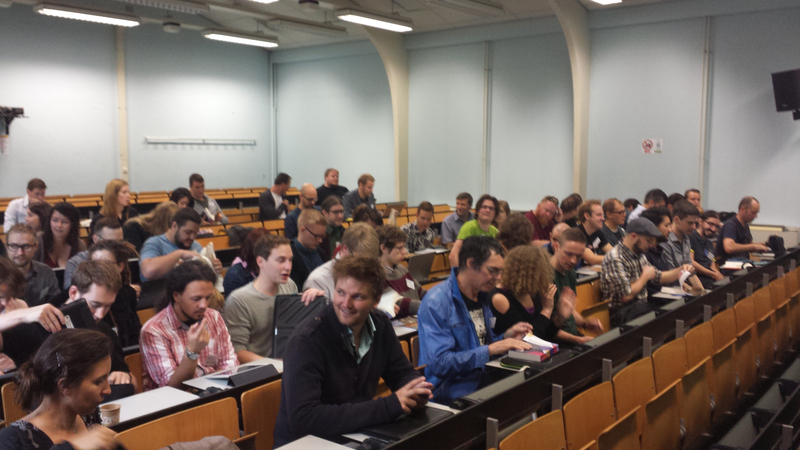 The Summer School of Games and Play Research kicked off in Monday in Utrecht, where a large number of games scholars and students had gathered for two weeks of intensive discussions and presentations. One of the key challenges for setting up this kind of event for this field is related to its aims, and how the Summer School will address the wide reach of different branches of science and scholarship that is somehow related to games and play — should there be, e.g. a course on mathematical Game Theory, or something about current trends in programming in Game Development? The planning group of the Summer School did its own decisions on how to profile the School, aiming to include those dimensions that relate to humanities, human sciences and design research in particular. Thus, there were sessions for example on the Psychology in Game and Play Research, as well as humanities and design oriented sessions, but Computer Science as well as the Economics, Law, and many other interesting disciplines where games and play are today researched were left off-focus at this time. However, to counterbalance the polyphony of different voices and discourses addressing games and play today, also certain disciplinary elements are needed. The academic evaluation, both at the level of individual publications, as well as when job positions are being filled, requires that there are ways to recognise those who are best qualified to comment on the quality of research as Game Studies, and not judge it according to criteria of some other field. This is somewhat tricky thing, of course, and subject of negotiation every time such evaluation work is carried out. Is this something that should be evaluated as humanities oriented Game Studies — or as something with more Social Sciences focus? Is the position filled mainly so that there will be solid conceptual analyst or theorist in the faculty, or for finding someone who can act as a bridge builder between academia and games industry, for example? There are practical concerns in Game Studies like in any other field in contemporary academia, as the university system is undergoing restructuring and many fields of learning need to provide good reasons for its existence and functions in a society. Game Studies certainly serves important scholarly functions, by addressing phenomena of major significance in the “Ludic Society” of today and tomorrow. 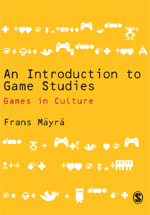 The understanding of games, their history, genres, ways of how such dynamic systems operate, their design principles and how they are experienced by different kinds of people — all such things are needed, not only by academic researchers in this field, but also increasingly by experts who want to understand the changes in society, culture, learning, commerce, social interaction, etc. Thus, my claim: “in the future, every discipline needs to be a Game Studies discipline”. On the other hand, it is not enough to have some minor elements related to digital media, online communication and games scattered in several, disconnected degree programs in various parts of academia. There is also need for a “core discipline”, and an increasing (even if still rather modest) need for graduates that can be the experts who provide the reference work and theoretical and practical foundation of games and play research, so that it can then be applied in many other fields as well. The program of Summer School was built to reflect this kind of principles of multiplicity and unity: the morning keynotes provided coherent arguments and perspectives into what games and play research is, or should be. The afternoons start with disciplinary seminars, where people coming and working within somewhat shared academic frameworks can develop their joint responses and interpretations of those same themes, and to develop their distinctive own agendas. The final element in the program are the more experimental, interdisciplinary workshops and the game jam, designed to bring together people from multiple sides of the research field, and to catalyse new ideas, creative concepts, and processes. Unfortunately my busy schedules forced me to leave the Summer School early, but I wish everyone very fruitful and stimulating days in Utrecht, and look forward to the results, conclusions and any feedback that will be coming from it. 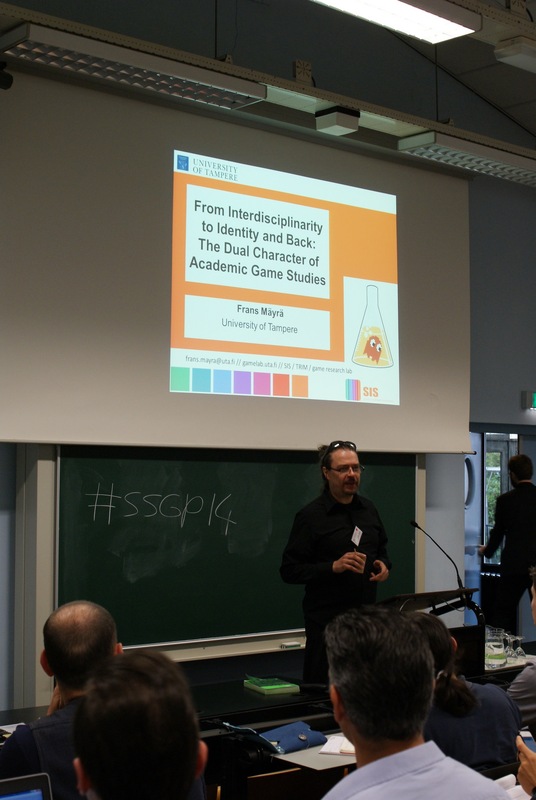 Long live Game Studies – One, and Many! PLUS: a remote keynote about transmediality in Focus in German Studies (USA), and another keynote in Spain, both in November (more about those later).